The Furniture and Equipment Re-use Service offers a range of workstations, storage solutions, and other items for sale at a low cost, presenting a sustainable and economic alternative to purchasing new furniture or equipment. 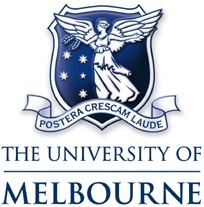 It is available to University of Melbourne departments, faculties and affiliate organisations. The project has been underway for 3 years and has saved an estimated $200K on landfill charges and $3.5M savings on retail replacement. 1. Keeping up to date records and statistics are vital for efficient management of the service, and to accurately demonstrate metrics and relative success. 2. Never underestimate the value of any item with regard to reuse potential. 3. Vigilant and systematic turnover of items is crucial.